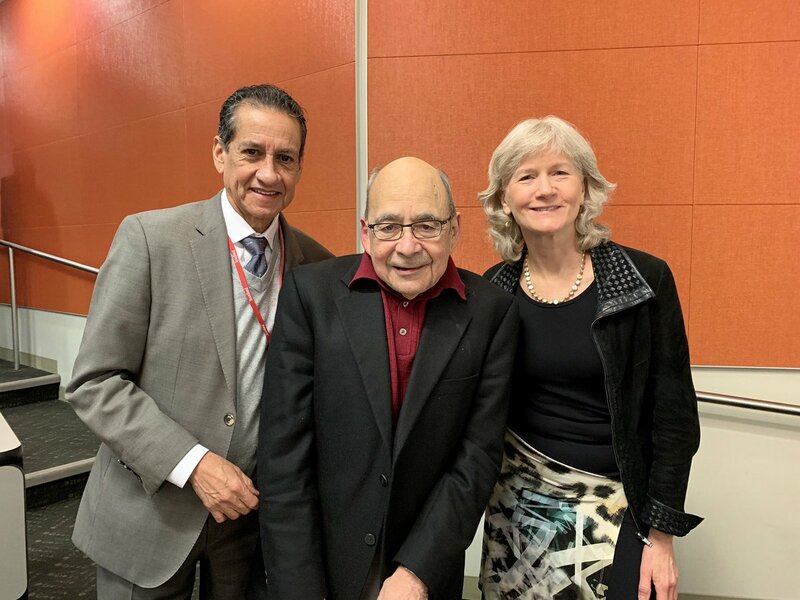 TTS Past President Oscar Salvatierra, Jr., MD, passed away on March 16, 2019, after a long illness; he was 83 years old. He leaves behind his beloved wife, Pam, his two children Lisa and Mark, and 5 siblings. 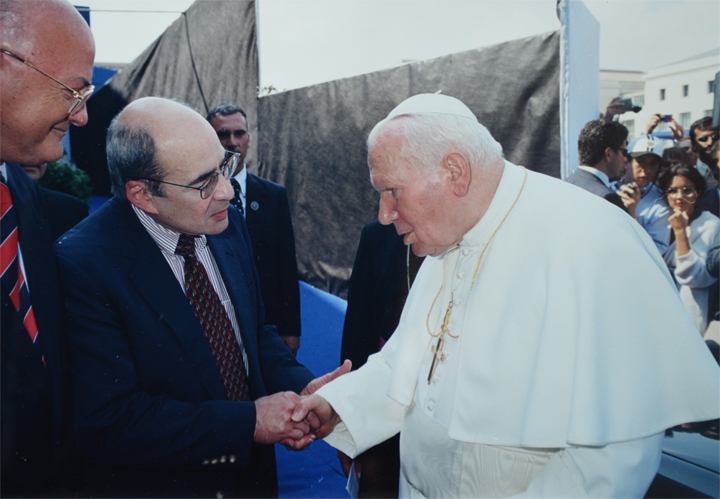 Oscar was an Active Emeritus Professor of Surgery and Pediatrics at the Stanford University School of Medicine. A urologist by training, he graduated from Georgetown University, the USC School of Medicine, and did his Urology training at USC and his Transplant training at UCSF. His career in transplantation was at UCSF, CPMC and at Stanford. He also served as a US Army surgeon in Vietnam. Oscar leaves behind a legacy of clinical excellence and compassionate care, where the "patient came first". He emphasized the importance of aiming for the "perfect transplant", in a child, working tirelessly to "get it right the first time". He had a unique blend of surgical mastery and infinite patience. He pioneered the use of donor-specific blood transfusions in living donor kidney transplantation, which prefigured later studies of kidney/bone marrow transplantation to induce tolerance. 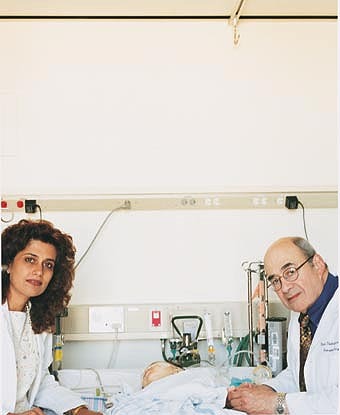 He made important contributions to pediatric kidney transplantation, including the technical issues involved in transplanting large adult kidneys into small infants, and developing a successful strategy of steroid avoidance in pediatric patients receiving extended daclizumab or thymoglobulin/tacrolimus/MMF-based therapy, a protocol that has been adopted at many centers worldwide. 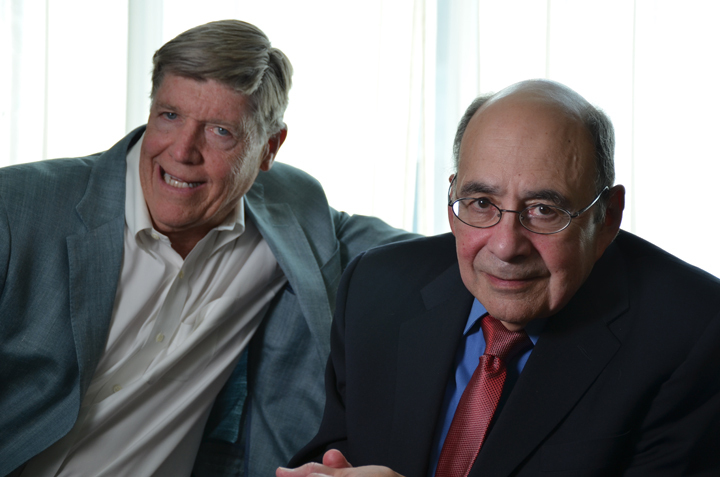 Oscar has been a leader for the transplant community. He was the president of the Transplantation Society, the American Society of Transplant Surgeons, and the United Network of Organ Sharing. He helped to draft the National Organ Transplant Act and worked with former vice president Albert Gore to bring this bill to fruition. This had the effect of establishing a formal transplant infrastructure for the United States and allowing the maturation of the field into a stable, organized clinical and scientific endeavor. Oscar has published over 300 papers during his career, some of which highlight pivotal scientific contributions to the field, and others, reflect his unique capacity to mentor the next generation of physician-scientists. Oscar enjoyed helping students and faculty alike achieve their work and life goals, maintaining that despite the busy clinical world of organ transplantation, it was always "family first". Oscar received the Franklin Ebaugh Award for outstanding Medical Student Advising at Stanford. Oscar's other honors include the Knighthood by the Republic of Italy, the Presidential Medal from the President of Argentina, a Special Commendation Resolution by the California State Legislature, the UCSF Chancellor's Award for Public Service, Stanford's Rambar-Mark Award as Clinician of the Year, and the Albion Walter Hewlett Award. He also received the 2016 Pioneer Award, the highest honor bestowed by the ASTS. Most recently the International Pediatric Transplant Association has recognized him with the 2019 Life Time Achievement Award. In addition, however, of equal importance, Oscar was a deep friend to many individuals in the field, and will always be remembered for his kind smile, his soft demeanor and his warmth. He supported many of our careers, highlighting his formula for success: a focused mind, clinical excellence, scientific curiosity and expansive vision. Oscar was a rare combination of someone who had a love of life and a firm understanding of what was important — the simplicity of living a life with those you love. Oscar's life motto was "life is about people"; he lived life with a lens that always emphasized the good in others. Among other things, he loved music, dancing, the beaches of Hawaii and his dog Maggie. Funeral Mass at 10:00 a.m (PST), March 21 2019, St. Raymond's Catholic Church, 1100 Santa Cruz Ave, Menlo Park. In lieu of flowers, Oscar wanted our efforts to go towards supporting and promoting students. 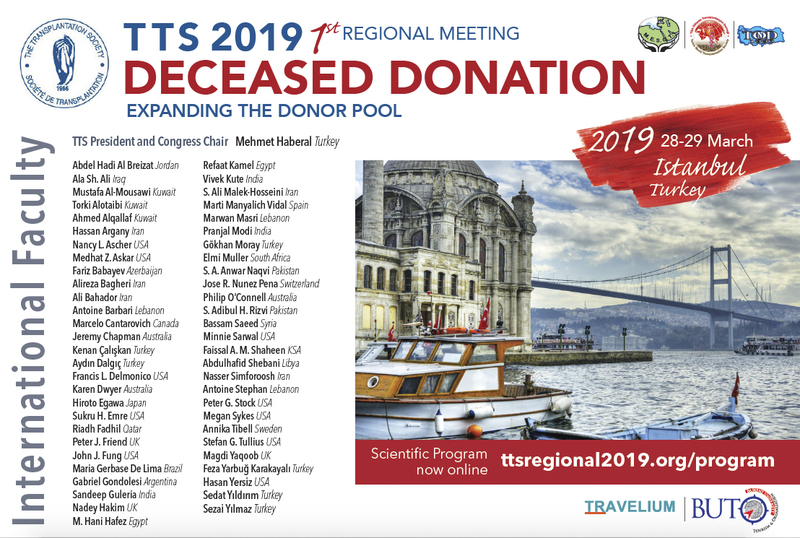 One of the main focuses for TTS this year is deceased donation culminating with the 1st TTS Regional Meeting “Deceased Donation - Expanding the Donor Pool” that will take place in Istanbul, Turkey on March 28-29, 2019. Which is why when the TTS Education Committee was approached by Dr. Ali Abdul Kareen Al Obaidli to assist in the creating a workshop entitled “The Best Practices in Deceased Organ Donation and Transplantation” in Abu Dhabi last fall, Education Committee Chairs, Marcelo Cantarovich, Medhat Askar and Sukru Emre immediately saw value in the project. 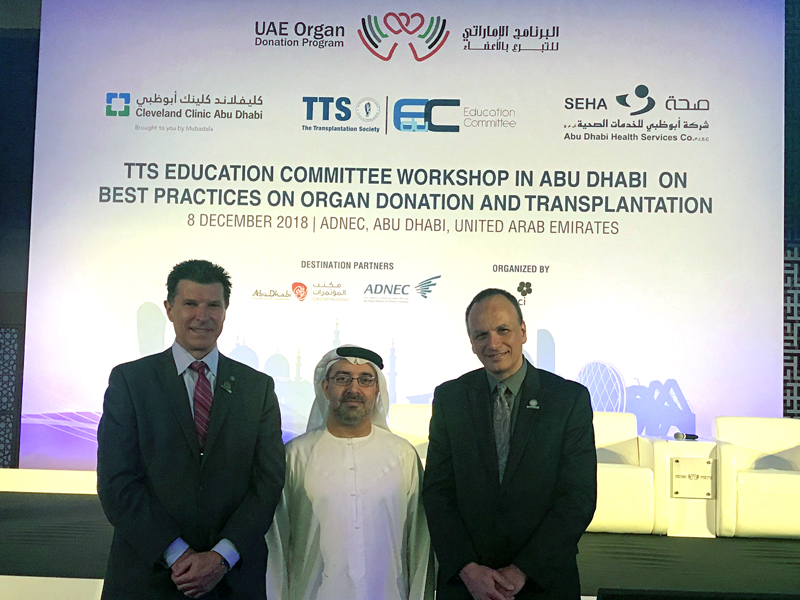 Ultimately, The Transplantation Society (TTS) Education committee, in collaboration with the International Society for Organ Donation and Procurement (ISODP), the UAE national Transplant committee, Abu Dhabi Health Services company SEHA and Cleveland Clinic Abu Dhabi hospital, organized a TTS Education Committee Local Workshop on December 8th 2018 entitled, “The Best Practices in Deceased Organ Donation and Transplantation”. 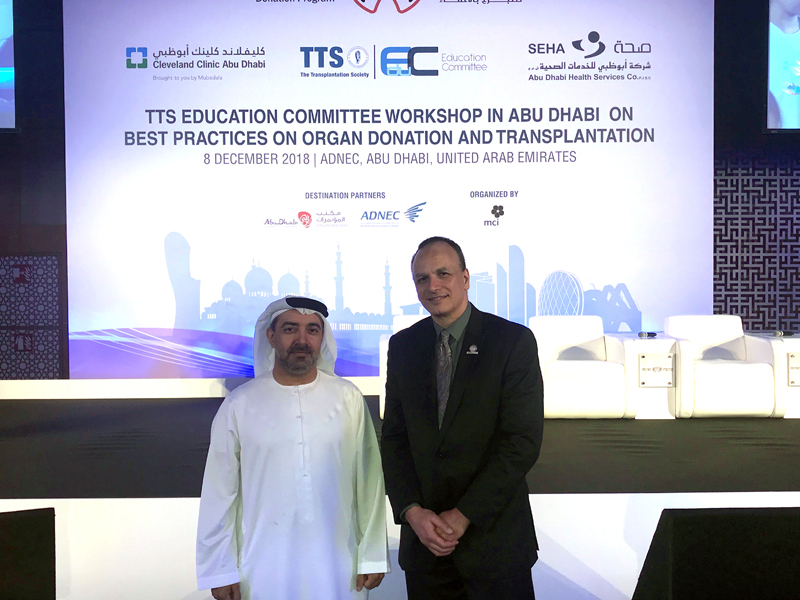 The workshop was co-chaired by Dr. Ali Abdul Kareem Al Obaidli, the Chair of the UAE National Transplant Committee and the Chief Academic Affairs Officer of Abu Dhabi Health Services Company (SEHA) and Dr. Medhat Askar, professor of Pathology & Laboratory medicine at Baylor University Medical Center in USA and the TTS education committee co-chair. 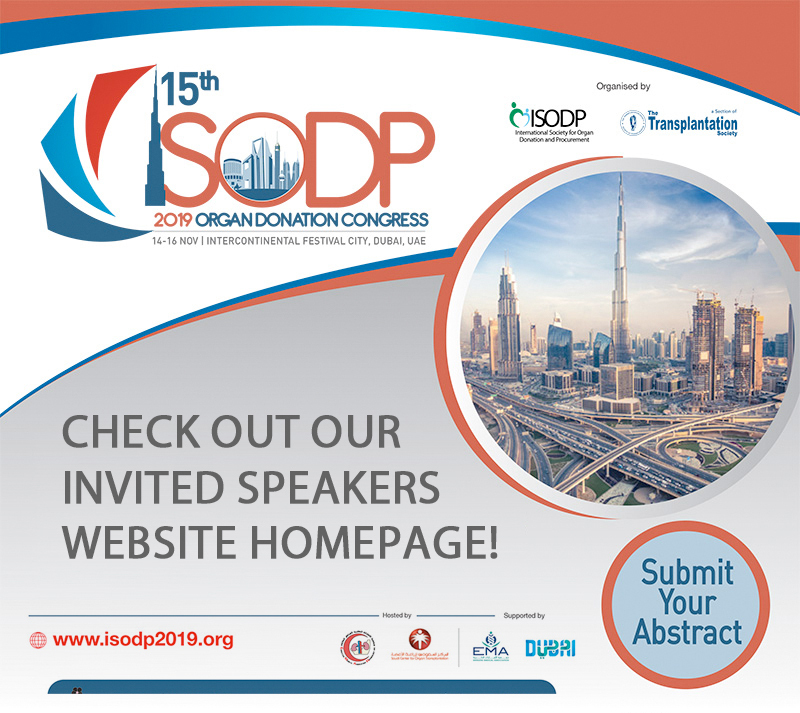 The program addressed the region’s need to promote solid organ transplantation with a specific focus on deceased donor solid organ transplantation. There were local, regional and international speakers who addressed topics on the current status of organ donation in Middle Eastern countries by experts practicing globally and in the region. Local speakers shared their experiences in the UAE since the recent commencement of deceased donation program and initiation of heart, lung, liver and expansion on kidney transplantation programs. The program also highlighted leadership development strategies amongst transplant professionals. This workshop was attended by a diverse audience of professionals in various stages of their careers, both genders (132 men and 110 women) from multiple countries. The participants came from various disciplines of specialization including physicians, surgeons, nurses, pharmacists, allied healthcare professionals, medical students and trainees, health insurance and health policy professionals, local ministry of health representatives and health economists. 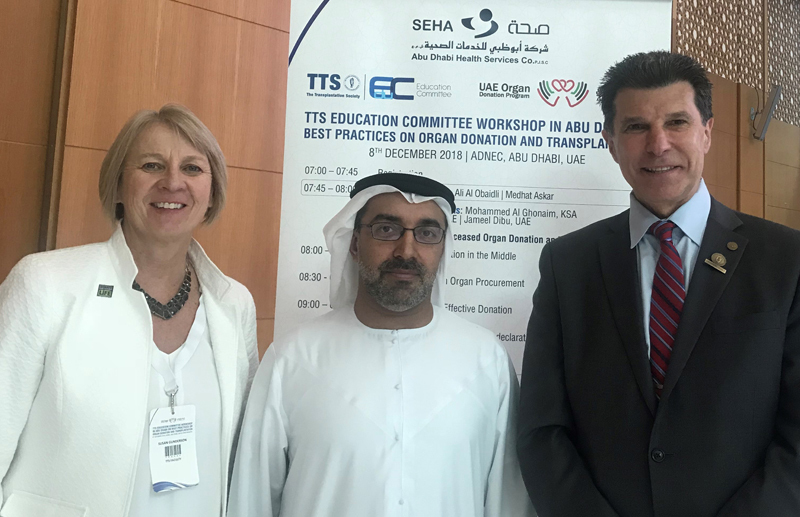 The workshop emphasized the importance of developing organ donation and transplantation systems and practical aspects of building a sustainable multi-organ transplant program. The proceedings of the workshop were highlighted in the local newspapers and media. The success of this workshop could not have been possible without Dr. Ali Obaidli and his team. During this educational workshop it highlighted the upcoming 1st TTS Regional Meeting that will take place in Istanbul, Turkey on March 28-29, 2019. The topic is Deceased Donation, Expanding the donor pool. The Countdown is on to the TTS 2019 1st Regional Meeting! There remains just one week to the start of the first TTS Regional Meeting in Istanbul, Turkey. The event will feature a distinguished international faculty to discuss the critical issues in expanding the donor pool for deceased organ donation. We are offering low registration fees, which are further reduced for TTS, MESOT, TDTD or TOND Members, nurses and non physicians. Students may attend the meeting for free. The CTRMS-TTS Congress Scientific Awards are designed to help offset expenses incurred to attend the CTRMS 2019 Congress and awarded based on the scientific merit of applicants. The Declaration of Istanbul on Organ Trafficking and Transplant Tourism (DoI) has been first adopted in 2008, following a summit convened by The Transplantation Society (TTS) and the International Society of Nephrology (ISN) in response to growing concerns on international trafficking of human organs. DoI established definitions of practices and principles guiding policy makers and health professionals in the field of organ donation and transplantation. The Declaration has now undergone a revision, 2018 at the International Congress of The Transplantation Society in Madrid. Updated definitions of key terms (organ trafficking, trafficking in persons for the purpose of organ removal, resident, non-resident, travel for transplantation, self-sufficiency in organ donation and transplantation, financial neutrality in organ donation) are highlighted with a thorough discussion on principles of the declaration. Although guidance provided by this article is not specific to any particular setting, the authors show how principles may be applied. They furthermore acknowledge that several factors may influence the application of particular principles. This manuscript is a very useful companion document to the declaration itself. University Hospitals Coventry & Warwickshire NHS Trust, U.K in collaboration with NHSBT, Birmingham and University of Warwick is delighted to welcome colleagues from the UK and around the globe to our Fifth International Transplant Conference, at Scarman House, University of Warwick on 9th Thursday and 10th Friday, May 2019. The meeting's principle aim is to bring people together who share a desire to understand and overcome the clinical, scientific and social barriers surrounding kidney transplantation in order to do more and better transplants. The invited speakers for this meeting are internationally renowned contributors from U.K, France , India, U.S.A and Canada. The first day is on potential role of antibodies against other antigen systems, many of which are unknown; recurrent diseases ; big data sets , complex analysis and data modelling. The second day is devoted to Black Asian Minority Communities in Organ Donation and Transplantation, done in collaboration with MOHAN Foundation , India. This will be a historic meeting as we are proposing to form a Consortium of Commonwealth Countries in Transplantation (CCCT) with the purpose of increasing donation amongst the BAME communities. The conference will examine cultural barriers to organ donation, how to overcome the barriers, and to bring about sustainable and ethical organ transplantation for patients from all communities, globally. March 14 - Wake Forest Institute for Regenerative Medicine (WFIRM) scientists are working on a promising approach for treatment of chronic kidney disease -regeneration of damaged tissues using therapeutic cells. March 13 - Brain pericytes play important roles in the formation and maintenance of the neurovascular unit (NVU), and their dysfunction has been implicated in central nervous system disorders. While human pluripotent stem cells (hPSCs) have been used to model other NVU cell types, including brain microvascular endothelial cells (BMECs), astrocytes, and neurons, hPSC-derived brain pericyte–like cells have not been integrated into these models. In this study, we generated neural crest stem cells (NCSCs), the embryonic precursor to forebrain pericytes, from hPSCs and subsequently differentiated NCSCs to brain pericyte–like cells. 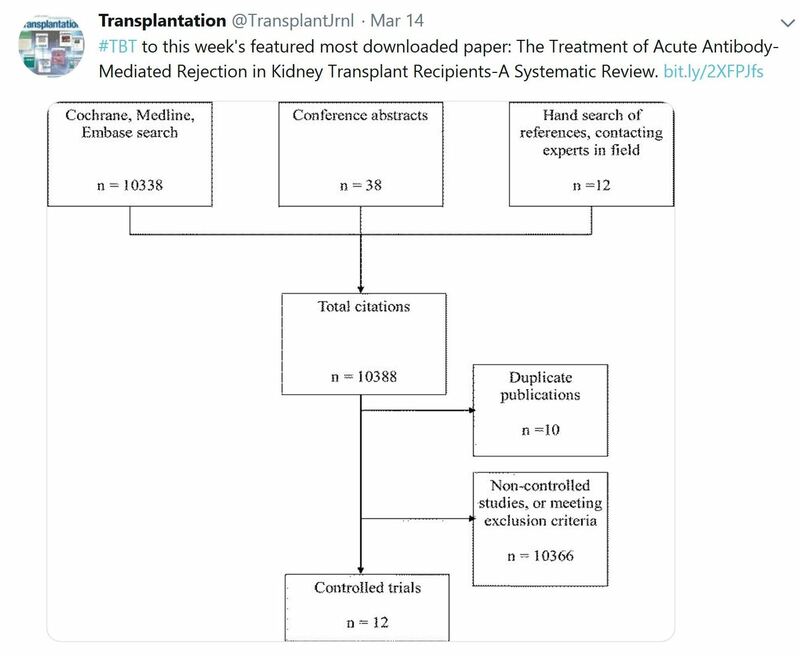 March 7 - While the number of liver transplants for hepatitis C virus (HCV) in the United States has decreased by more than one-third over the past decade, graft survival in HCV-positive recipients has increased and these patients are achieving similar outcomes as recipients without HCV, according to study results published in Liver Transplantation. March 13 - Recent study results showed that cholangitis episodes and the presence of portal hypertension or gastroesophageal varices in adolescence may predict the need for liver transplantation in adulthood among pediatric patients with biliary atresia. March 13 - In a new study, researchers at the University of Copenhagen show that the development of a certain type of immature stem cells - also known as progenitor cells - depends on the quantity of a special protein and interaction with other cells in the body. The new study has just been published in the scientific journal Developmental Cell. March 14 - Rejection of any kind is always hard to deal with, but when one's body rejects a precious organ transplant, the consequences can be devastating. Professor A. Vathsala, Co-director of the National University Centre for Organ Transplantation at the National University Hospital (NUH) and Professor of Medicine, shared that between 30% to 40% of kidney transplants are lost over time to rejection. She, together with Associate Professor Paul MacAry of the Department of Microbiology and Immunology at NUS Medicine, decided to collaborate on addressing one major clinical problem at NUH's NUCOT: How to make each transplanted organ last longer? March 14 - A condition known as transplant glomerulopathy was first described in transplanted kidneys decades ago but its features have not been well-characterized. The condition is common, is associated with a poor prognosis, and affects the transplanted kidney's glomeruli, the tiny ball-shaped structures composed of capillary blood vessels involved in the filtration of the blood to form urine. Transplant glomerulopathy affects 5% to 20% of kidney transplant recipients and up to 55% of those in high-risk groups, and some of its characteristics are present in several other disease processes, making its diagnosis difficult. March 17 - The combination of lenalidomide and azacitidine appeared safe and demonstrated clinical activity in patients with relapsed acute myeloid leukemia or myelodysplastic syndrome following allogeneic hematopoietic stem cell transplantation, according to results of a prospective trial published in Journal of Clinical Oncology.